Have you heard of the amazing baking supplier, The Craft Company? I love that these guys stock all sorts of otherwise hard-to-find ingredients. 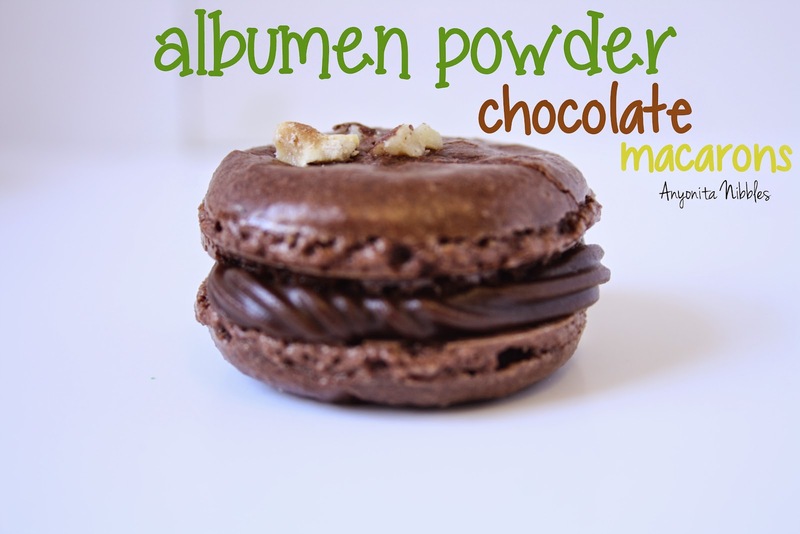 For instance, I'd been searching for months for albumen powder to make macarons. I hadn't been able to find any other UK suppliers for it! It wasn't until I went to the The Craft Company's website that I found some, though! It was shipped me to the next day of placing my order and arrived along with vanilla bean paste, cake pops sticks and cake pops bags in a sturdy, branded box. I'll be sharing a recipe using the vanilla bean paste, cake pops sticks and bags in a few weeks. I just whipped up some macarons using the albumen and wanted to share right away! Here's a good macaron recipe, if you need one. Substitute the egg white for albumen powder. You'll need to dissolve the albumen in water first--there should be instructions on the packet. Be advised though, you might need to adjust the instructions and use them as a guide only. I found that following them point blank, resulted in to much white powder! You'll probably see that you'll need to whisk the albumen a bit longer than you would ordinary egg whites. I really liked the texture of the macarons, although it was a bit less firm, surprisingly. I would only use the albumen powder for personal use as it's not gluten free and all the macarons I sell in my shop are. As a shop, I was very impressed with The Craft Company. They have such a wide selection and the high-quality items are shipped out quickly. Everything I ordered arrived as expected. I'd definitely be interested in order more from them in the future. Thanks for hosting another wonderful party! Can't wait to find some new pages to like! Those Choc. Macaroons look just lovely! I am going to pin those for a special treat to make some time. Thanks for the Like Hike! I'm gonna get my walkin shoes on! Hahaha! Yes, get those walking shoes on & that thumb out! :) Thanks for the pin! thanks so much for hosting! Love the idea of a Facebook Like Hike! Plus those macaroons look yummy! Thank you, Nancy! Glad you stopped by! Thanks for the invite and for hosting Anyonita!